Seagrass has been around since dinosaurs roamed the earth (Note 1), it is responsible for keeping the world’s coastlines clean and healthy, and supports many different species of animal, including humans. And yet, it is often overlooked, regarded as merely an innocuous feature of the ocean. But the fact is that this plant is vital – and it is for that reason that the World Seagrass Association has issued a consensus statement, signed by 115 scientists from 25 countries, stating that these important ecosystems can no longer be ignored on the conservation agenda. Note 2. Seagrass is part of a marginalised ecosystem that must be increasingly managed, protected and monitored – and needs urgent attention now. Seagrass meadows are of fundamental importance to human life. Note 3. They exist on the coastal fringes of almost every continent on earth, where seagrass and its associated biodiversity supports fisheries’ productivity. These flowering plants are the powerhouses of the sea, creating life in otherwise unproductive muddy environments. The meadows they form stabilise sediments, filter vast quantities of nutrients and provide one of the planet’s most efficient oceanic stores of carbon. Note 4. 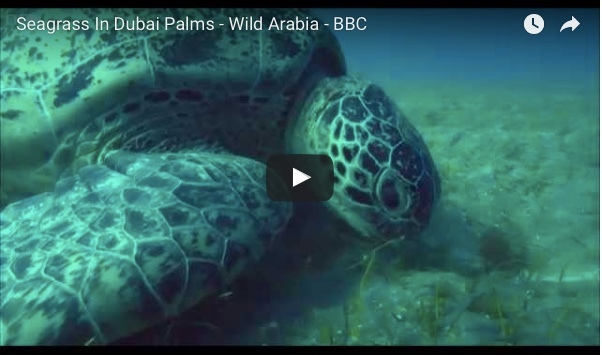 There is clear, extensive evidence of the rapid loss of seagrass. Note 5. Growing historic, recent and current records show degradation and fragmentation of the plant around the world. In Biscayne Bay, Florida, for example, 2.6km² of seagrass disappeared between 1938 and 2009. Note 6. 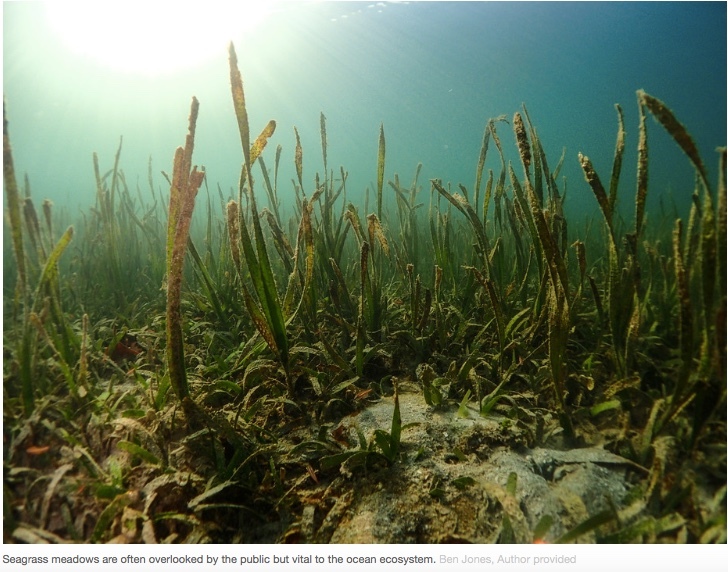 Up to 38% of the seagrass in a lagoon in the south of France may have been lost since the 1920s. Note 7. The nearshore waters of Singapore has lost some 45% over the past 50 years. Note 8. Similar examples have been reported in Canada (Note 9), the British Isles (Note 10) and the Caribbean too (Note 11). Even the Great Barrier Reef Marine Park has suffered periods of widespread decline (Note 12) and loss of seagrass over the past decade, particularly along its central and southern developed coasts; a consequence of multiple years of above average rainfall, poor water quality, and climate-related impacts followed by extreme weather events. The most recent published monitoring surveys show that the majority of inshore seagrass meadows across the reef – which cover some 3,063 km² – remain in a vulnerable state, with weak resistance, low abundance and a low capacity to recover. Note 13. As the human population grows and the world economy expands, there will be increasing pressure on our coastal zone. And it must be ensured that this doesn’t negatively influence seagrass meadows. It is already recognised that poor water quality, specifically elevated nutrients, is the biggest threat to seagrasses (Note 14); these problems are particularly acute in many developing nations with rapidly growing economies, such as Indonesia, where municipal infrastructure is often limited and environmental legislation is largely weak. There can be a bright future for this oceanic plant, however. Across the world, communities, NGOs and governments are beginning to embrace the monitoring of meadows. As knowledge of the plants’ ecology improves, conservationists are learning more about how to successfully restore seagrass meadows: Tampa Bay in Florida (Note 15) and Virginia’s bays (Note 16), for example, have seen genuine large scale recovery. We also now have greater appreciation for the value of seagrass in the global carbon cycle, and governments are more willing to include its conservation in ways to mitigate carbon emissions. Though commendable, these are just the first steps on a course of targeted strategic action. As the WSA statement calls, seagrass meadows must be put at the forefront of marine conservation today. (see Note 2). We need to increase its resilience by improving coastal water quality, prevent damage from destructive fishing practices and boating, include seagrasses in Marine Protected Areas and ensure that fisheries aren’t over exploited. Note 17. Seagrasses also need to be managed effectively during coastal developments, and steps taken to ensure recovery and restoration in areas where losses have occurred. Richard K.F. Unsworth is a director of Project Seagrass and President of the World Seagrass Association. Jessie Jarvis is affiliated with the World Seagrass Association Inc (Treasurer) and the Atlantic Estuarine Research Society (Treasurer). Len McKenzie receives funding from the Great Barrier Reef Marine Park Authority. He is affiliated with the World Seagrass Association (Secretary) and Seagrass-Watch (Director). Mike van Keulen is affiliated with the World Seagrass Association (Vice President). He receives funding from the Australian Research Council and the Fisheries Research and Development Corporation.